Former National Oceanic and Atmospheric Administration head and Oregon State University marine ecologist Jane Lubchenco. On April 23, former head of the National Oceanic and Atmospheric Administration and Oregon State University marine ecologist Jane Lubchenco delivered the 2018 James R. Mahoney Memorial Lecture on “Science in a Post-Truth World,” a topic on which she has spoken out in recent years. The annual lecture is co-sponsored by NOAA and the American Meteorological Society, an AIP Member Society. Noting a growing disconnect between science and society in recent years, Lubchenco argued the scientific community should endeavor to fully understand the issue and its relation to the emergence of a “post-truth” worldview, which she defined as one in which “objective facts are less influential in shaping public opinion than appeals to emotion and personal belief.” To bridge the gap, she stressed that scientists need to do a better job of demonstrating the value of science, identifying and sharing scientific successes, and modifying scientific culture to better reward and incentivize public and policymaker engagement. 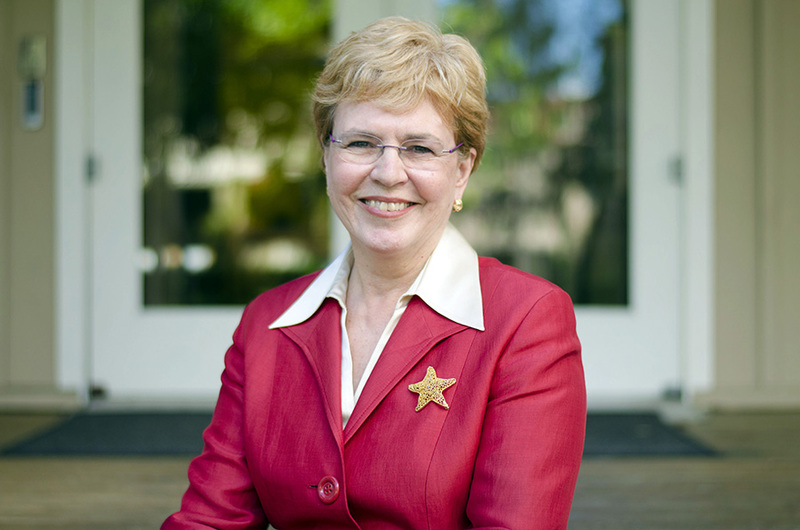 Earlier in April, the National Science Board announced Lubchenco would receive the 2018 Vannevar Bush Award honoring “truly exceptional lifelong leaders in science and technology who have made substantial contributions to the welfare of the nation through public service in science, technology, and public policy.” In addition to serving as President Obama’s first NOAA administrator, Lubchenco is credited with co-founding three organizations that train scientists to communicate better and engage with society: COMPASS, the Leopold Leadership Program, and Climate Central. At the very time that science is so important to people’s lives — it is relevant, it is helpful, it is making things possible that never were — we see a widening gap between science and society. As an example, she observed that the public’s beliefs often conflict with scientific understanding, saying this is particularly true for contentious issues such as evolution, vaccines, and climate change. How scientists are perceived by the public is another factor to consider, she said. Noting that a recent survey concluded most Americans cannot name one living scientist, and even fewer can since Stephen Hawking died earlier this year, she framed the lack of familiarity as emblematic of the problem. “We need more scientists being seen as scientists by the public,” she stressed. She highlighted another study suggesting that in order to be seen as trustworthy, people must be considered as both competent and warm. While noting that the study showed that the public sees scientists as highly competent, she said it found they are not perceived to be very warm. Part of this issue, she argued, is scientists are trained to adopt a “don’t tell stories, stick to the facts” maxim when talking to others about their work. “A lot of the things that are the way the culture of science has evolved don’t help us to be perceived by the public as trustworthy,” she concluded. Nonetheless, Lubchenco noted that a new report from the American Academy of Arts and Sciences shows that confidence in scientists has remained relatively stable over the last few decades and that a large majority of Americans still view scientific research as beneficial. Lubchenco said she has been focusing on this topic for “some time,” referencing her address as president of the American Association for the Advancement of Science in 1998. The emergence of this post-truth world … is seen by a number of people as a challenge to things that we have held near and dear: the importance of evidence, the importance of information. We need to be more integrated into society, physically and psychologically integrated. In other words, scientists need to engage more and more effectively with society. She suggested three efforts that scientists can make to effectively embed science in society. Teaching people to do some of the basic things that [scientists] can do, but then interpreting what that means, is a wonderful opportunity for community engagement. While acknowledging that demonstrating scientific value is easier to do in certain disciplines, Lubchenco stressed it is necessary to evaluate lessons learned that can be replicated in other disciplines. If [James Mahoney] were here, he would say It’s time for us to take back the narrative. It’s time to write the new chapter in the relationship between science and society, and for us to collectively to have a quantum leap in relevance.